Are you looking for overseas jobs in Canada? 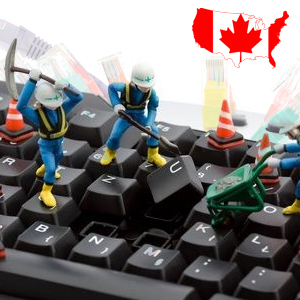 Most professionals consider this as the right time for Canadian migration as Citizenship and Immigration (CIC) has announced new occupations including technicians. 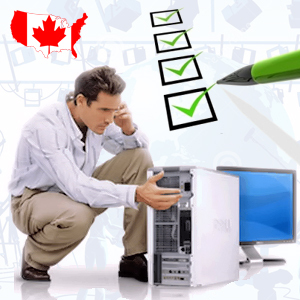 Technicians can find lot of opportunities in Canada under re-opened Federal Skilled Worker Program 2014. Under Canada FSW program, you can get right opportunity to make your career. The Canadian immigration department is accepting 1,000 applications for each eligible occupation under Canada FSW program from 1 May 2014. There are 50 eligible occupations listed under Canada FSW program. If you are a technician then you can be employed in any one of the different streams of technicians provided below. In order to find opportunity in the field of technicians the candidate need to meet certain criteria designed by Canada FSW program. The following are the few Canada FSW requirements which should be met by the technician to be eligible for Canada FSW program. The candidate must have minimum one year of paid work experience in any one of the 50 eligible occupations. He/she should secure minimum 67 points out of 100 in a points based test. The applicant age must be between 18 to 35 years. For instrument technicians and mechanics, the candidate must complete secondary school of education and they must do their four to five years apprentice program in industrial instrumental repair. For trade certification in instrumental background the candidate must have a work experience of several years. For mechanical engineering technicians, the candidate must be from mechanical back ground. In order to get certified in either mechanical technology or in any relevant field the candidate must have two years of experience in relevant field. For more details please fill this Quick Enquiry Form one of our Canada Immigration expert will get to you also for more updates follow us on Facebook too.